It’s Season 2 Premiere Day! 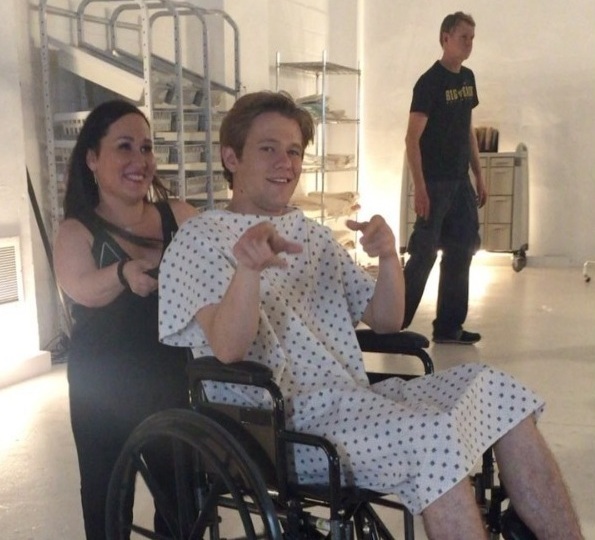 Between filming and posting BtS pictures, the cast is also busy doing promo. 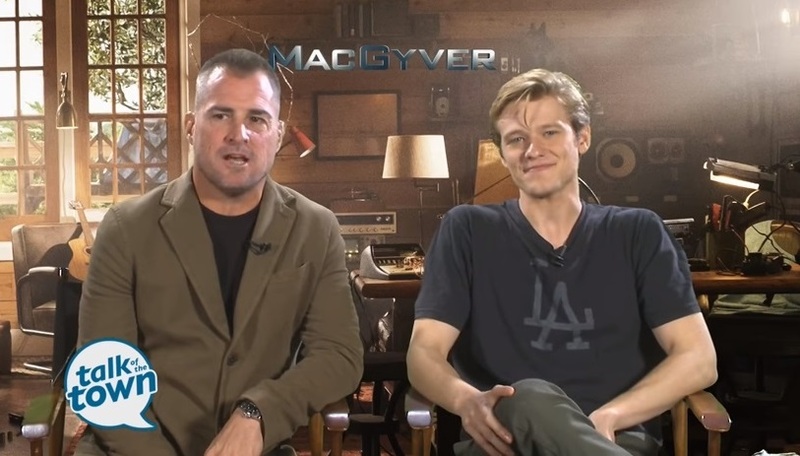 Season 2 of the MacGyver Reboot premieres today. It is kind of a special date because back in 1985, the Original Show also premiered on September 29. There wasn’t much promo until yesterday; especially compared to other CBS shows (e.g. Hawaii Five-0). Also, as I’m writing up this blog post earlier than usual, there’s still no press release about Isabel Lucas joining the cast and no press releases or stills for other episodes but the Season Premiere. But we have new interviews and Sneak Peeks; so let’s take a look at these. 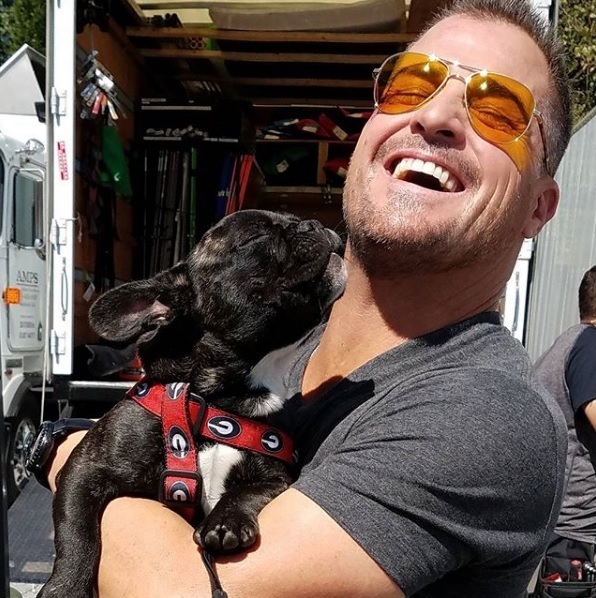 In TV Guide Magazine (released in print on September 16), Lucas Till and George Eads talked a bit what Season 2 will bring. 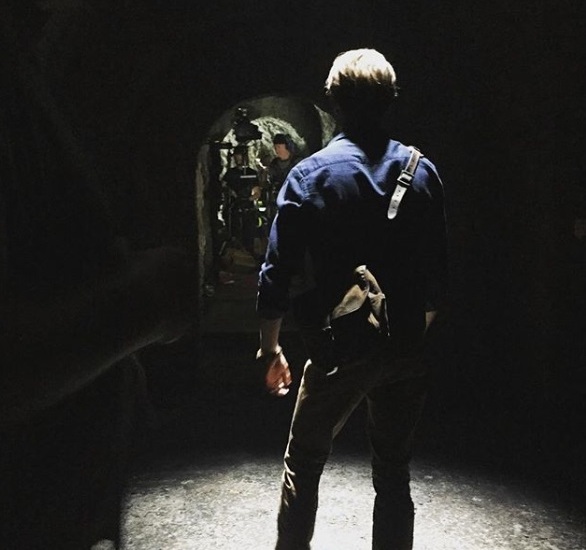 As Lucas revealed, we will be in Cuba and Turkey, in catacombs and underwater (judging from Stills and Previews, this all might happen in the Season Premiere Episode tonight). They also let us know that Murdoc will be involved in the first four episodes in some capacity and that Murdoc’s son also figures into the storyline. 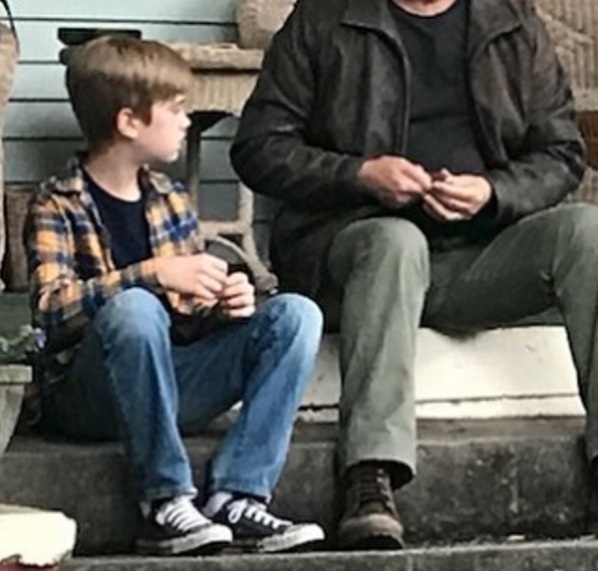 George stated that we will meet Riley’s dad (which was recently mentioned by Executive Director Peter Lenkov on Instagram as well). 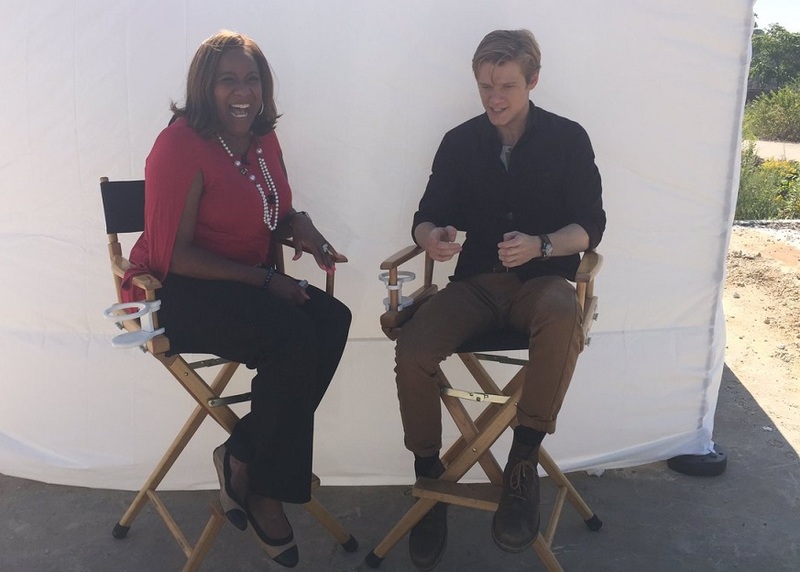 This interview was additionally released online on TV Insider yesterday. Sadly, there were no new promo pictures accompanying the article. There are some recent interviews released by Canadian outlets. Most of these were probably taken at the Corus Upfront in Toronto back in June – before filming for Season 2 had even started. That’s why Lucas talks about Season 1 and 2 in general, but doesn’t give any specific news. 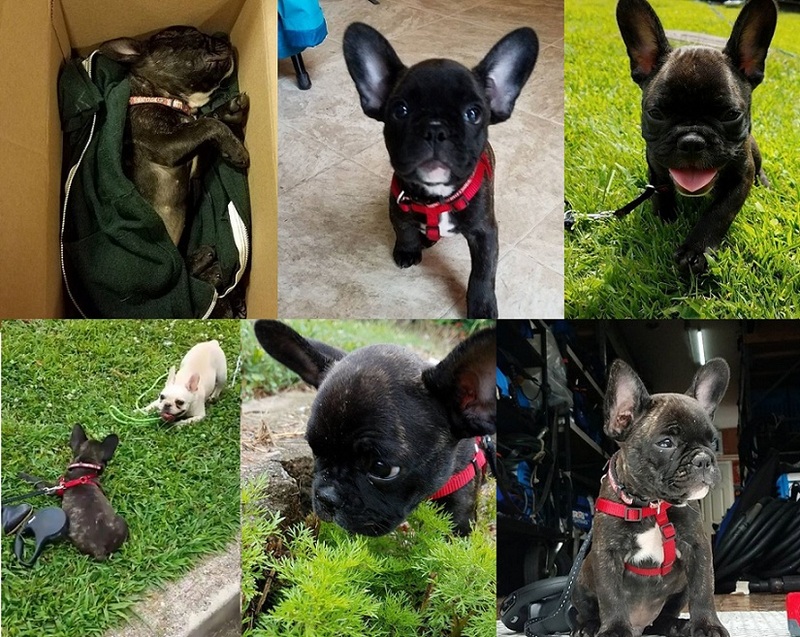 You can listen to Lucas doing an audio interview with CFox here. He talks a bit about the high expectations he faced for Season 1. In a written interview with Canada.com, Lucas revealed he’s doing a lot of yoga because “action scenes can also wreak havoc on a guy”. On September 21, the official Instagram Account asked the fans to leave their questions below. So far, there are over 370 comments, but there was no announcement if and how these questions will be answered. We can expect some more promo and appearances today. Meredith Eaton was in the studio to film a segment for KCAL9 News. You can watch the interview here. She said that she’s having the time of her life and that her role is the highlight of her career. George and Lucas were seen on set doing interviews. They will probably air today. 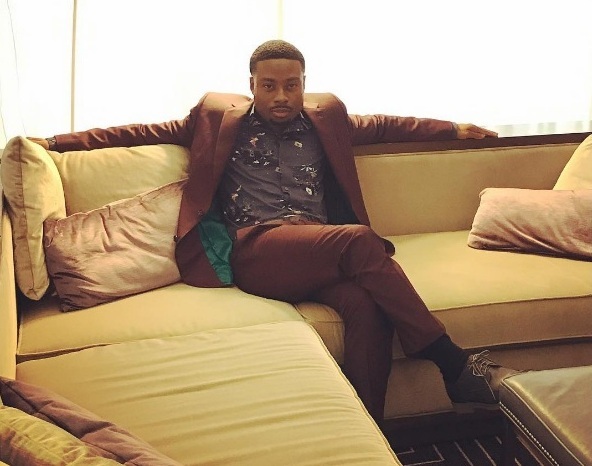 Justin Hires will host Atlanta Plugged In tonight. 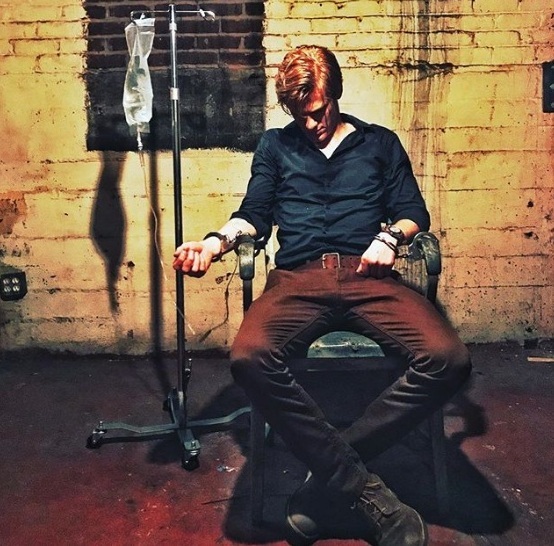 On Wednesday, Peter Lenkov released another short Cuba-Sequence and how Jack utilizes his head as a weapon. Ouch. 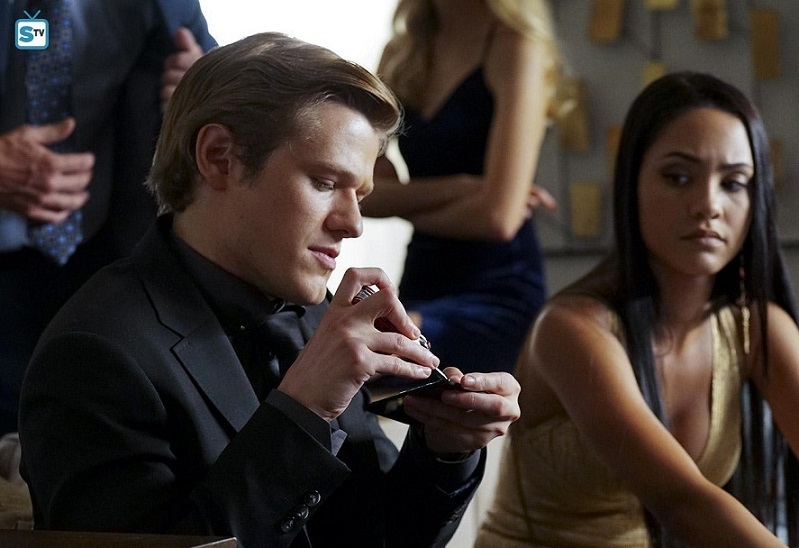 Yesterday, SpoilerTV released three Sneak Peeks for Episode 2×01 (DIY or DIE). In the first clip, new character Samantha Cage saves Mac and Jack from the bad guys. 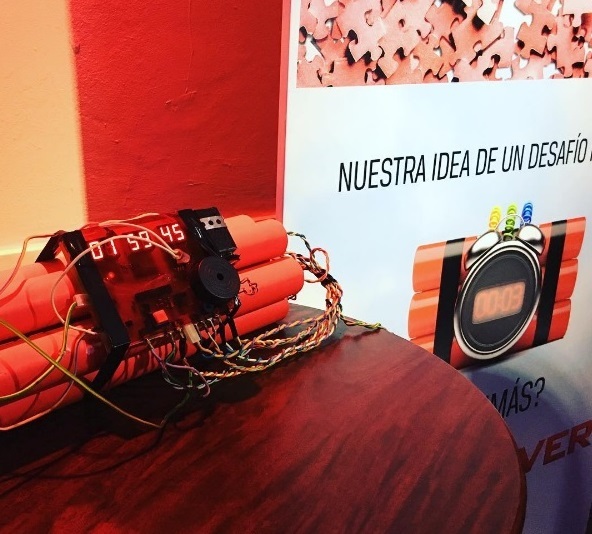 The other clip plays in Cuba. Mac and Jack are in a bit of trouble (what else is new *lol*), but as soon as they’re out of trouble, it turns out they’re actually on a quest to find Murdoc. The third clip sees Bozer getting released from hospital after rehab. Looks like not that much time has passed since the Season 1 Finale Episode. We have to assume Mac and Jack didn’t have a lead on Mac’s dad that was deemed worth following any longer or they returned as soon as they got notice about Murdoc breaking out of prison. 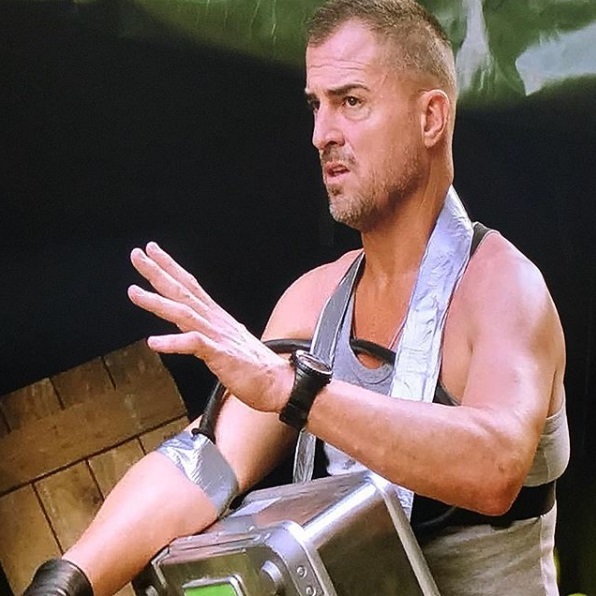 After praising Justin Hires on his drama acting chops last week and praising George Eads on his take for Jack Dalton, Executive Producer Peter Lenkov continued honoring the rest of the cast members in different Instagram posts. 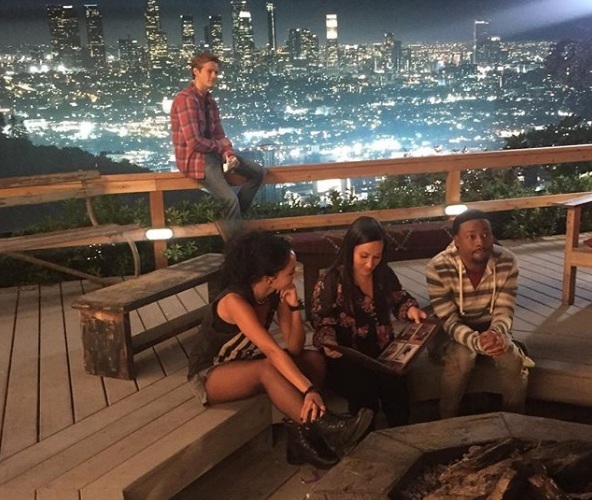 Besides praising Lucas, Tristin and Meredith, he also revealed some little trivia on each post. 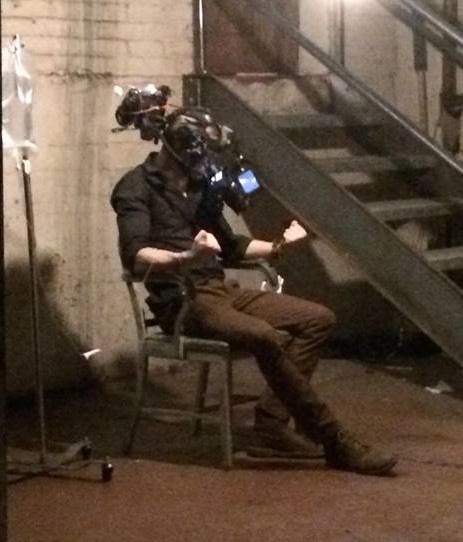 The main unit has been filming outside a lot and on some interesting looking sets; e.g. an obstacle course. 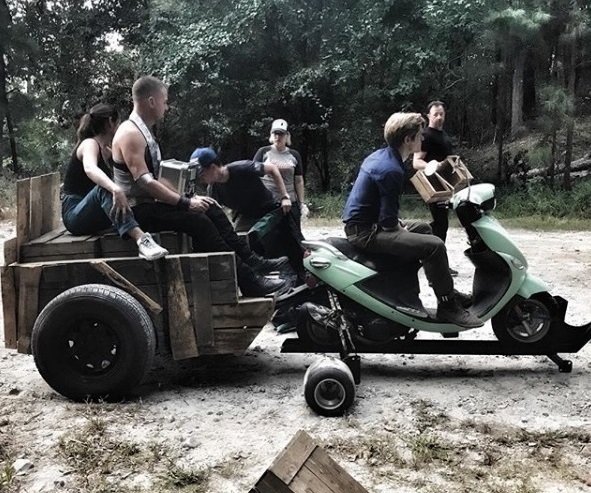 They also like to use cars, mopeds and other vehicles as props. Jack’s GTO will be back as well. 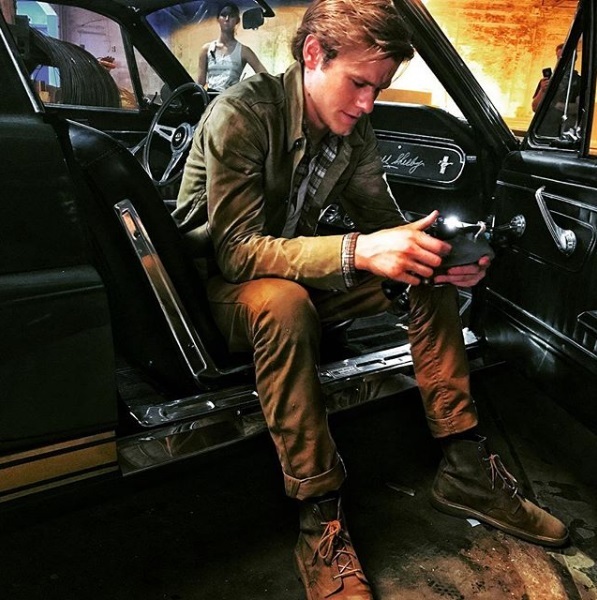 George Eads and Lucas Till both posted pictures of the same scene where finally, Mac gets to drive while Jack has to sit in the back. 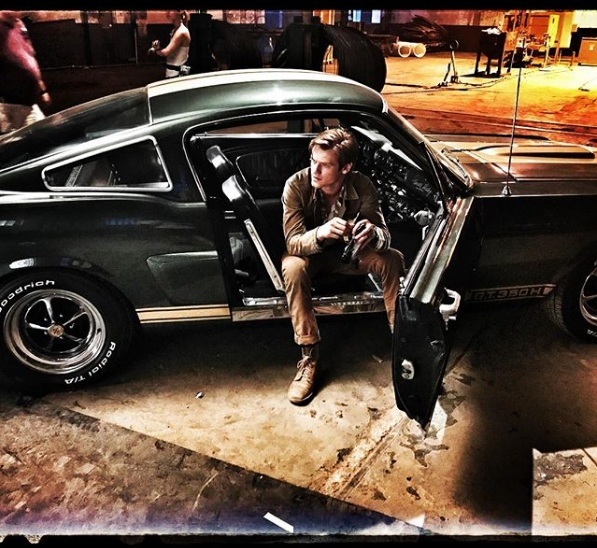 Lucas also posted one with George and Isabel inside a car (the same car already seen for a “stunt scene” via Boom Operator Robert Maxfield). 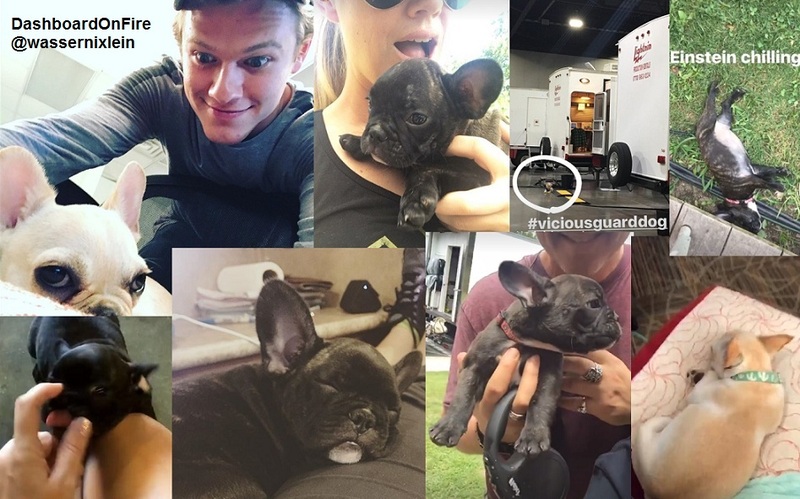 The cast and crew members upload BtS pictures almost daily now, adding to the excitement of the fans. 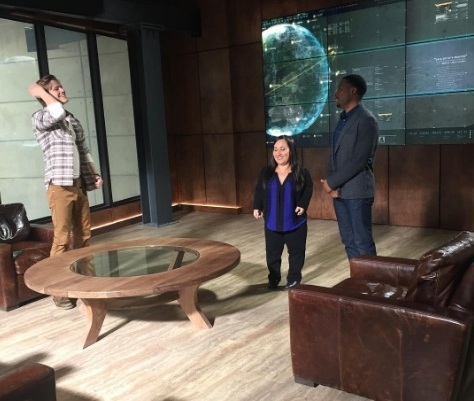 Justin shared more BtS pictures of Bozer and various team members of Team Phoenix in the War Room – one of Bozer with Matty and Riley, one of the whole team and one with Jack being shocked about something he sees on the screen. Meredith Eaton posted a picture of Matty with Bozer and dear old Robot in the lab. 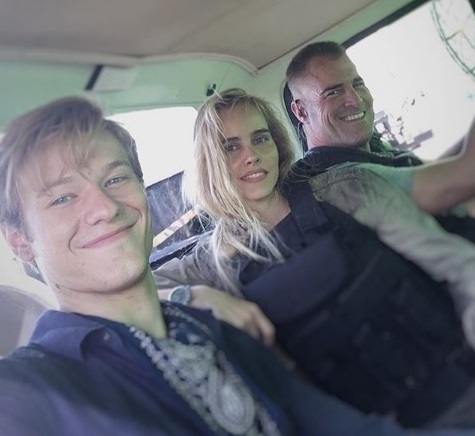 Although the main cast welcomed Isabel Lucas two weeks ago, there’s still no official press release about her joining the Season 2 cast. Like Season 1 with Meredith Eaton, it’s possible she doesn’t have an opening title credit in the first episode of her appearance. 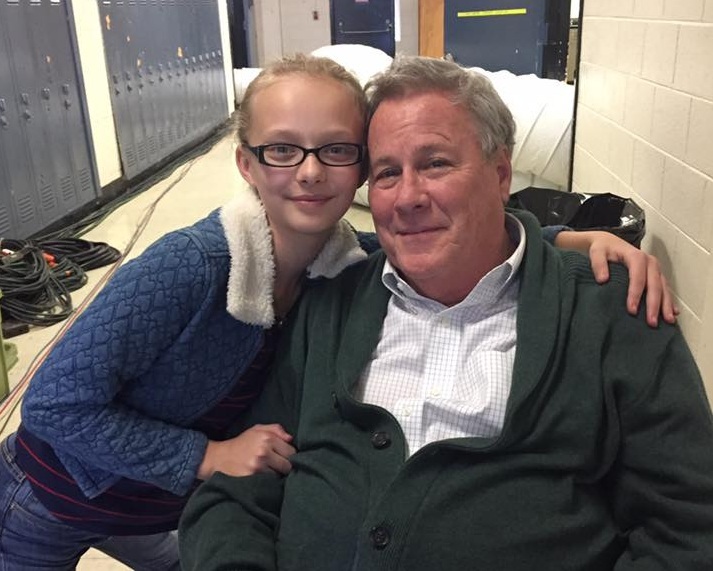 We know we’ll get to meet Riley’s dad. 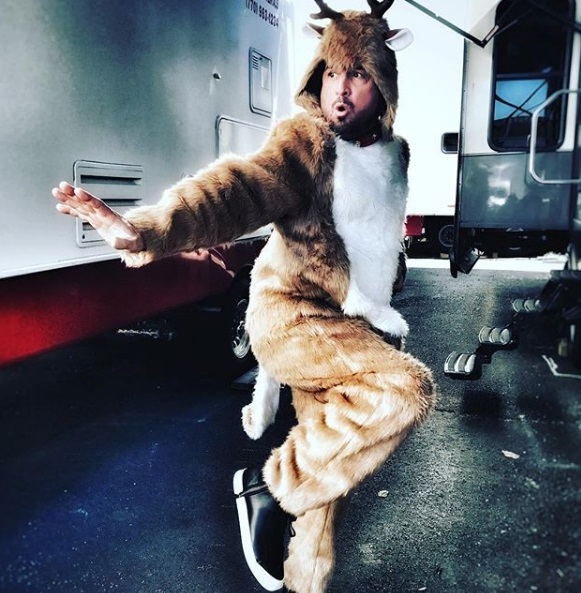 We don’t know who will play the role, but there has been some speculation it might be Roger Floyd who had posted some funny BtS pictures this week. Central Casting Georgia has been looking for Stand-Ins, Photo Doubles, Nurses, Techs and Agents and for Security. They also made several casting calls for Fit Students. On Sunday, director Bobby Roth was busy scouting the Porsche museum for the show. 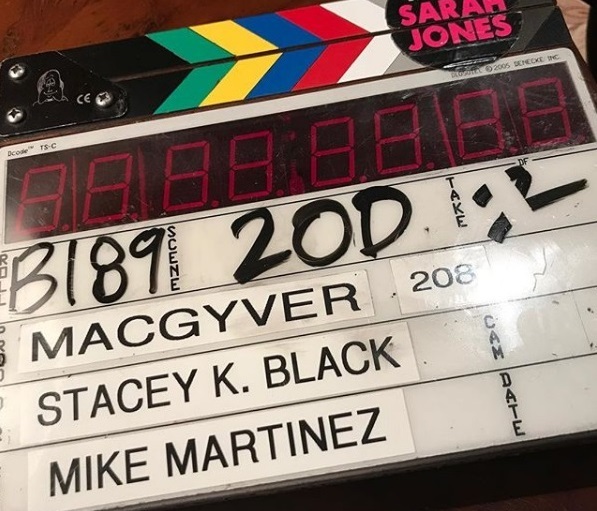 Stacey Black, the director of Episode 2×08, finished filming her scenes on September 27. 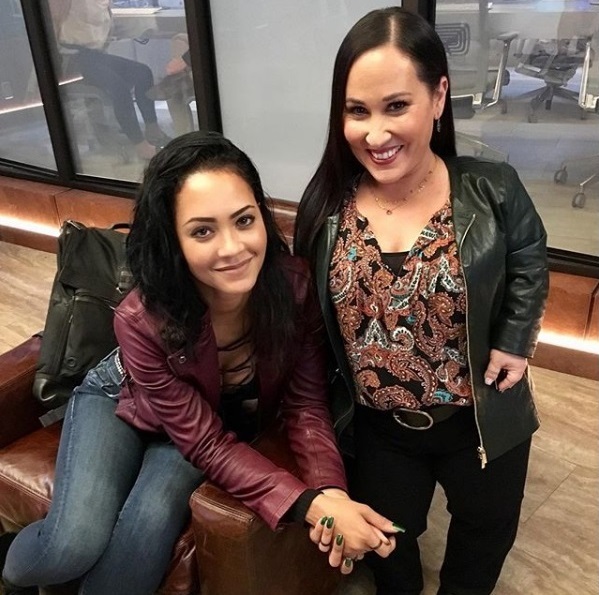 Bobby Roth posted a picture with Tristin Mays in the afternoon; indicating that filming for Episode 2×09 has already started. On the same day, Tawnia Canell McKiernan had revealed that she’s packing to leave for Atlanta, so she will most likely direct Episode 2×10. Last Season, she had directed the episode with the Coltons (1×16: Hook). There was a rerun of the Season 1 Finale (Cigar Cutter) last Friday. While the ratings for Episode 1×20 (Hole Puncher) back on September 2 hadn’t been that overwhelming, the Season 1 Finale won its time slot again and reached about 4.2 million live viewers (with a rating of 0.5 in the important demo group of 14-49 year-olds). Overall, all rerun episodes managed to reach 4.2 million live viewers on average (with a 0.6 rating in demo). Not bad. Some similar shows don’t even reach as many people during their premiere. The Season 1 DVD has already been released in some countries (e.g. Australia, UK) two weeks ago. Many fans have been asking about a US-release on the official social media accounts, but so far no one ever bothered to answer or to even acknowledge the questions. It seems like there is no release date yet which is a bit curious since the newest Seasons of many other CBS-Shows (e.g. Hawaii Five-0 or Blue Bloods) have been released recently. Apparently, CBS is still banking on people getting a pass for CBS All Access, their streaming account. So far, I haven’t seen any promo on TV or on social media, but the show seems to do well enough in Austria. While Episode 1×03 (Awl) two weeks ago only managed 51’000 viewers on average, Episode 1×04 (Wire Cutter) reached 56’000. 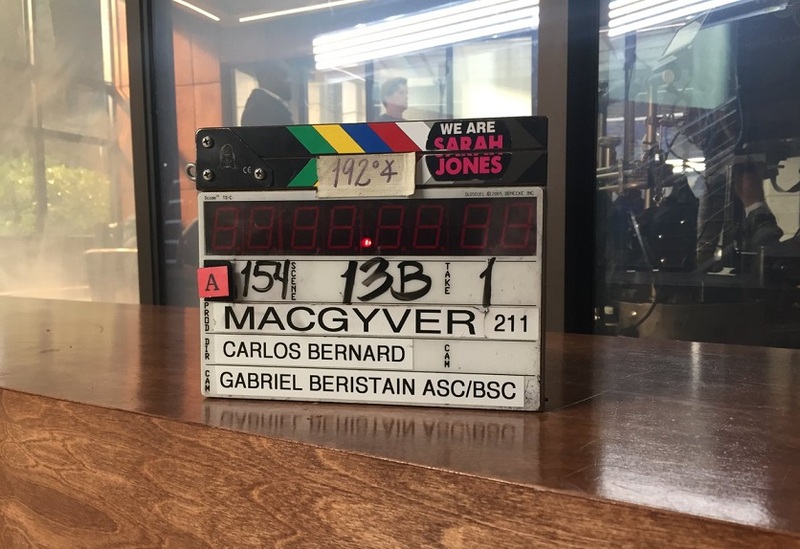 Filming has started on Season 2. In other news, the show has been nominated for an Emmy! An Emmy Award (or simply Emmy) is an American award that recognizes excellence in the television industry, and corresponds to the Academy Award aka Oscar (for film), the Tony Award (for theatre), and the Grammy Award (for music). 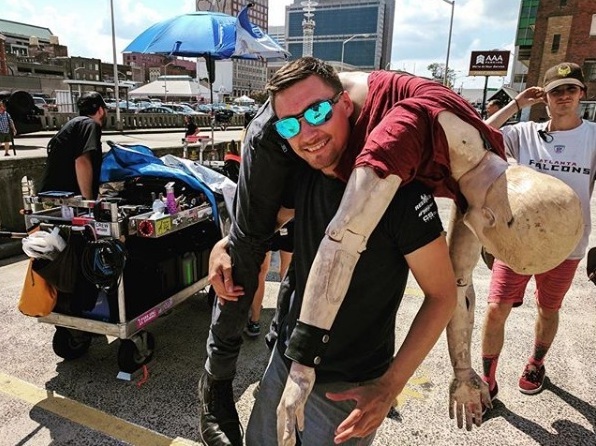 Back in June, Stunt Coordinator Jeff Wolfe had posted a compilation of the stunts in Season 1 as an Emmy Reel onto his Facebook page. A few weeks later, it was confirmed that CBS had handed in the Reboot for consideration. To be honest: Because there were 179 other TV shows in competition as well, I didn’t get my hopes up. 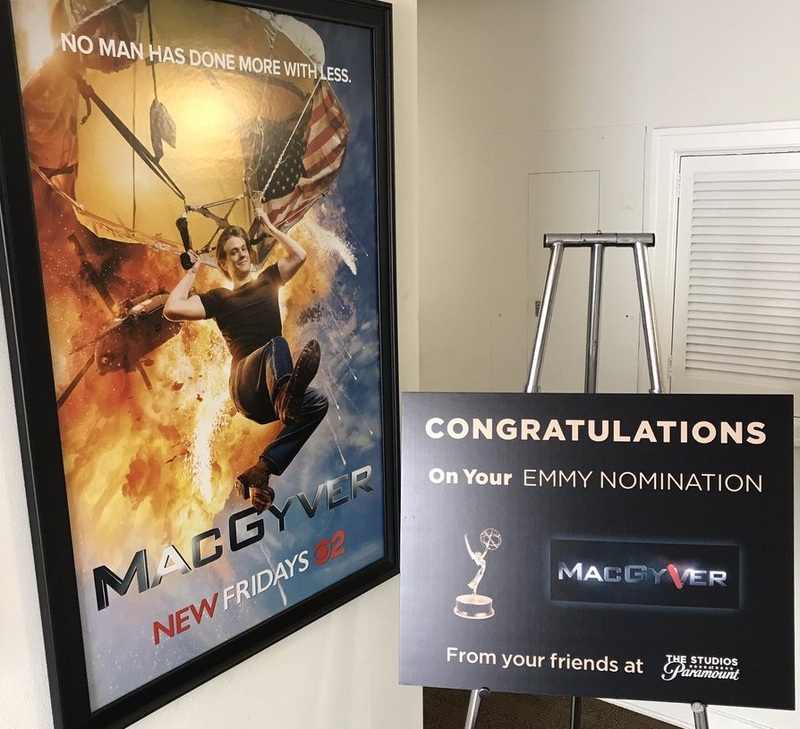 But as it turned out, the show has indeed been nominated for an Emmy – in the category “Outstanding Stunt Coordination”. The ceremony will be held on September 17. Let’s hope for a win! Fun Fact: While the original show has been sadly overlooked for awards in general, it did get nominated for four Emmy’s over the years – for Episodes 2×20: Friends (Outstanding Makeup for a Series), 4×14: Gold Rush and 5×18: The Lost Amadeus (Outstanding Sound Editing for a Series) and for Episode 7×07: Good Knight MacGyver Part 1 (Outstanding Individual Achievement in Costuming for a Series). 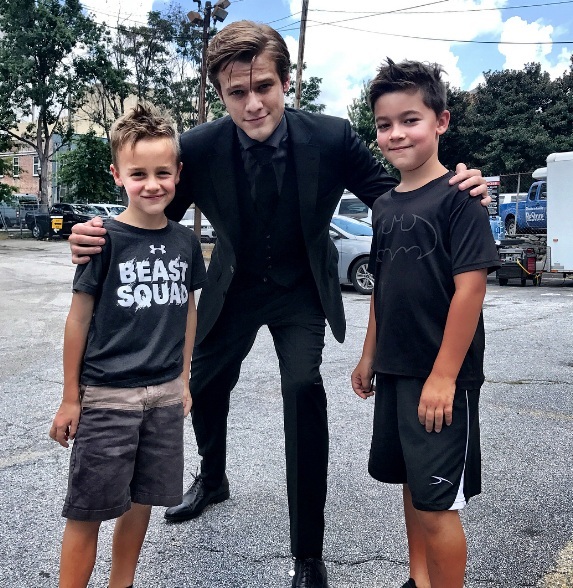 Filming for Season 2 started on Thursday, July 6. 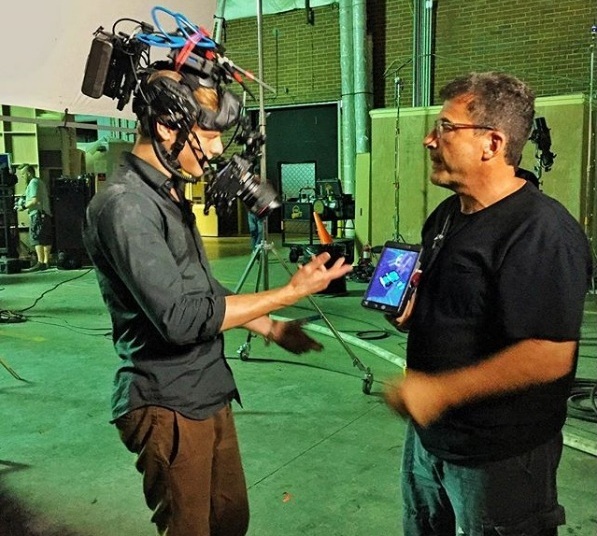 While we got some pictures and Instagram Live Stories by cast and crew, it’s not nearly as much as for Season 1. To be fair, we were spoilt last year when the pilot episode was being filmed; especially by Executive Producer Peter Lenkov. Meredith Eaton joined the cast on July 7. 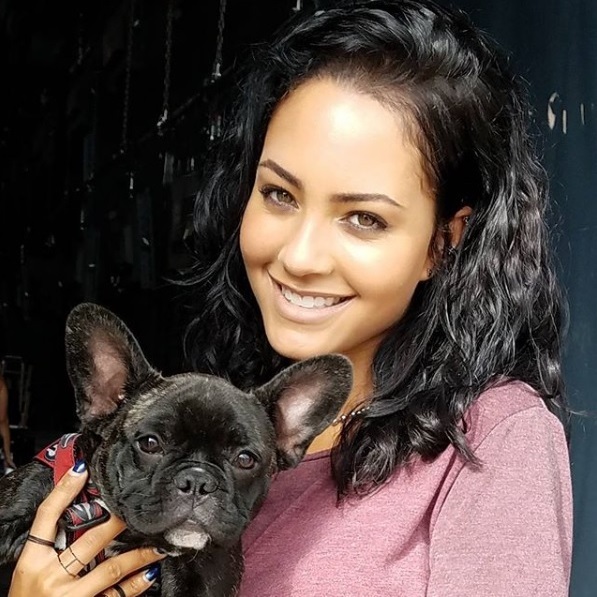 She was “introduced” by Justin Hires in an Instagram video in which he revealed that unlike Meredith and Tristin Mays, he can’t stand coconut water. 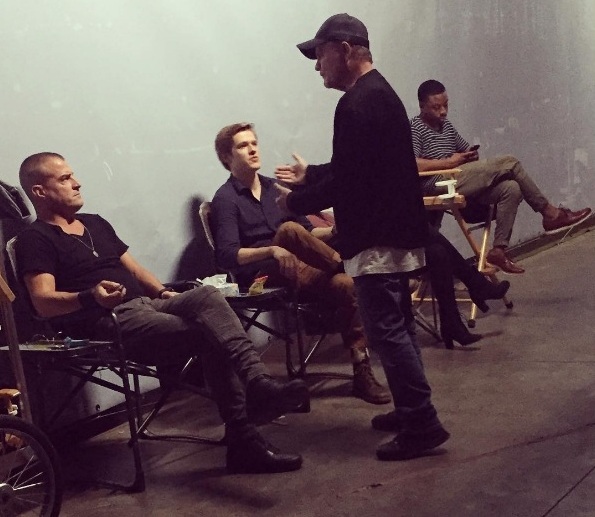 Justin posted a BtS picture on July 11, revealing that not everyone of the cast listens to the director when he’s giving directions. He also posted another video that day which showed him and Tristin strapped into chairs; joking that they had him sitting in a booster seat. Because people kept asking about Lucas’ whereabouts, Justin made sure to include the lead character in his next video. 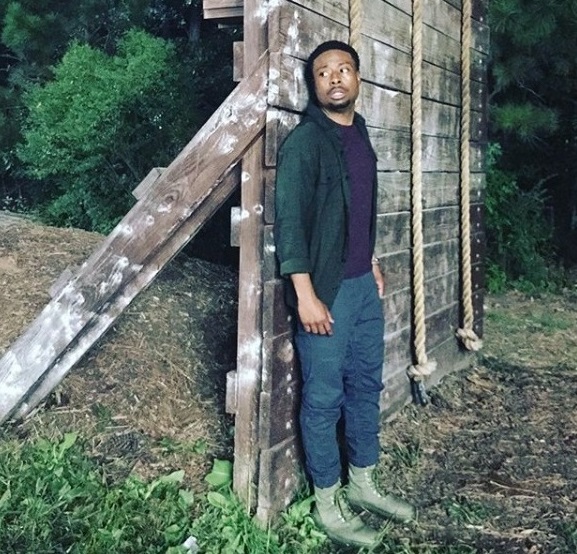 Justin Hires had already mentioned Atlanta being “hot as hell” in one of his first videos when they had just started filming. Meredith Eaton posted a picture of herself with Cornell Willis on July 15, hinting at HOTlanta once again. 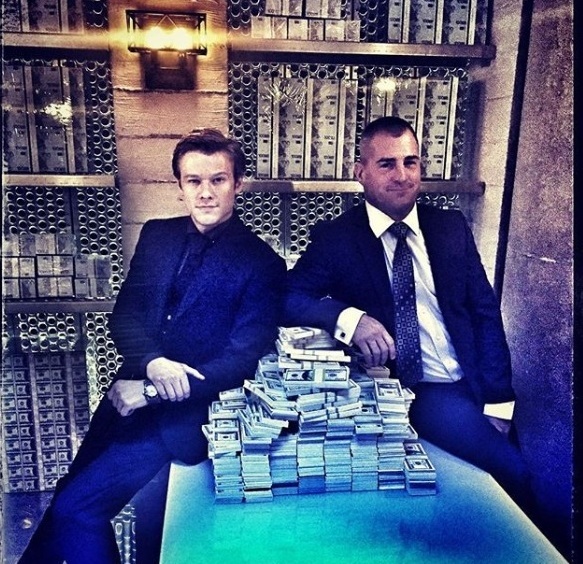 Lucas Till revealed on July 20 how George Eads deals with the heat when they’re filming outside. 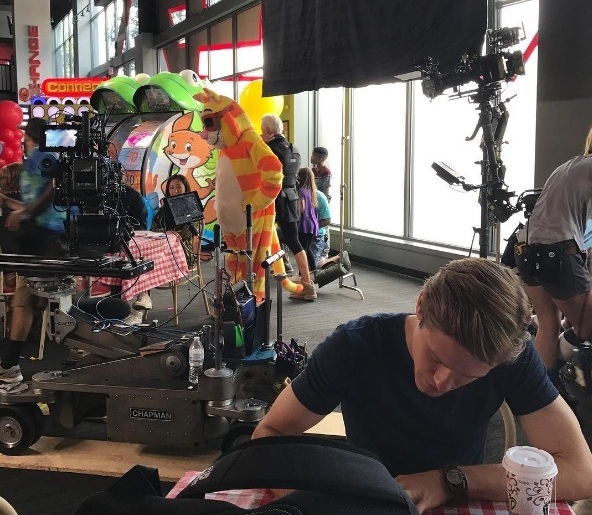 On July 16 and 17, Justin posted a picture of him with Tristin preparing their next scene and another one of him on the “War Room” set with Meredith and Lucas. 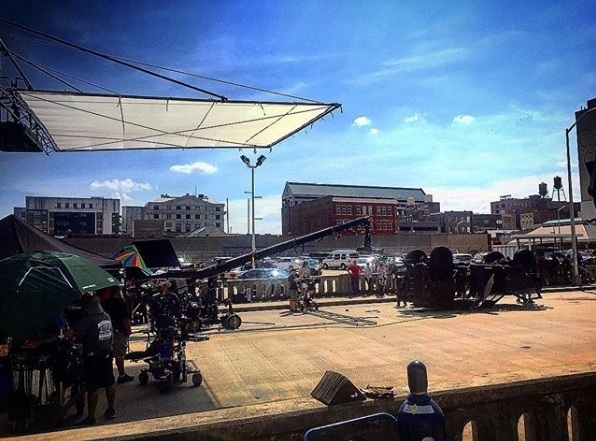 They also shot some scenes at Gwinnett Airport. It’s the same location where they’ve already filmed scenes in Season 1 involving a jet. 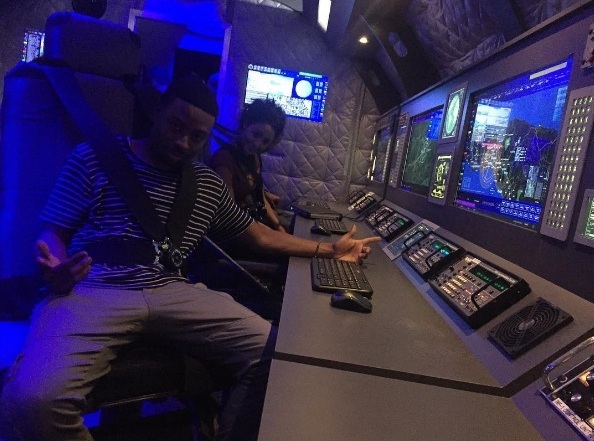 It’s possible that the scene Justin filmed with Tristin is taking place in a cockpit. 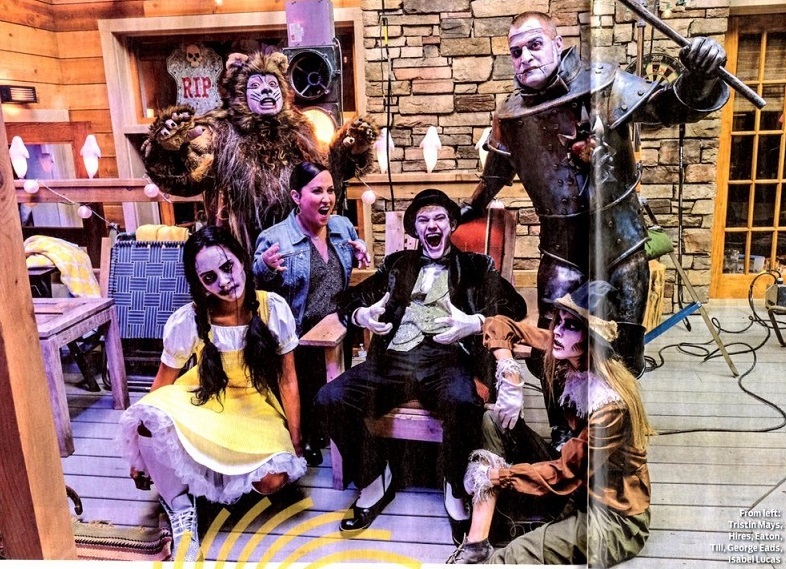 Besides human visitors (in the form of Stunt Coordinator Jeff Wolfe’s kids), they had also visitors – or rather background actors – of the animal kind. Who doesn’t like baby goats? 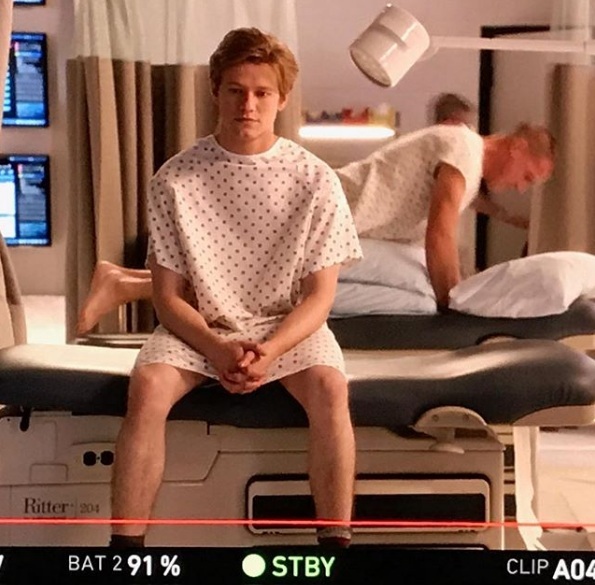 It looks like Episode 2×02 will be the Casino Episode we have been promised. According to IMDb (which isn’t always accurate), the episode is titled “Roulette Wheel”. 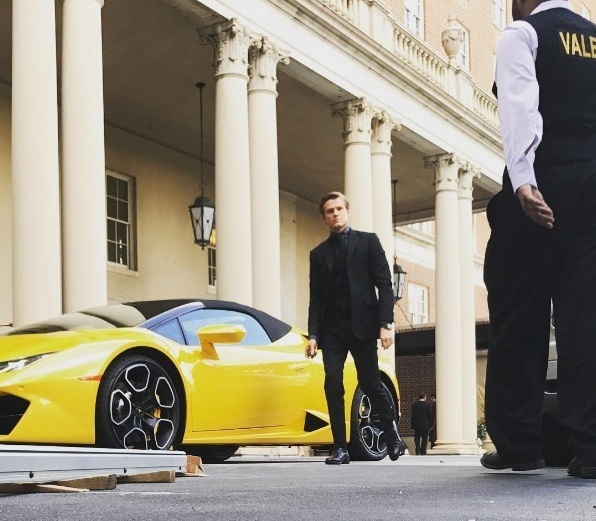 Although cast and crew had posted several pictures of the location (Hyatt Regency) from either outside or through a window, we never got to see the set itself. 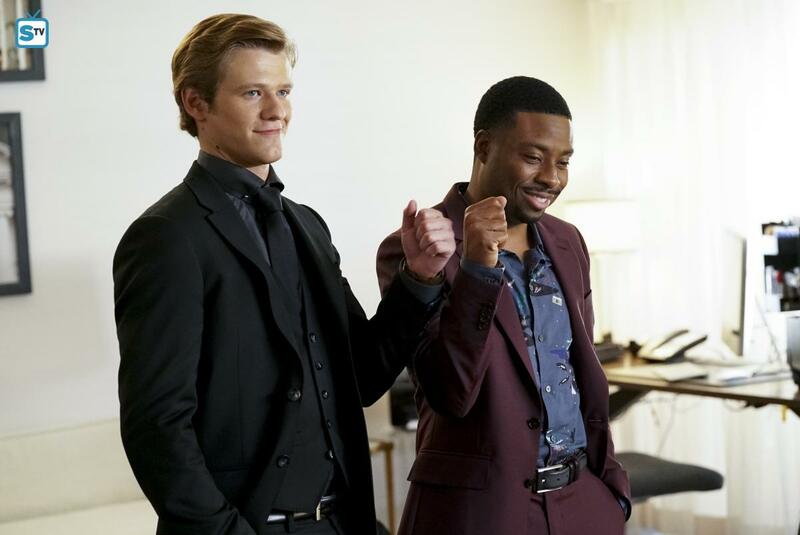 We did get some BtS pictures that hinted at the Casino Episode being filmed – mainly because both Lucas as MacGyver and Justin as Bozer are wearing suits while Tristin – seen in another one of Justin’s BtS videos – has sleek hair (like she did in Episode 1×08: Corkscrew). She seems to be wearing a golden dress that matches the color of Bozer’s suit. 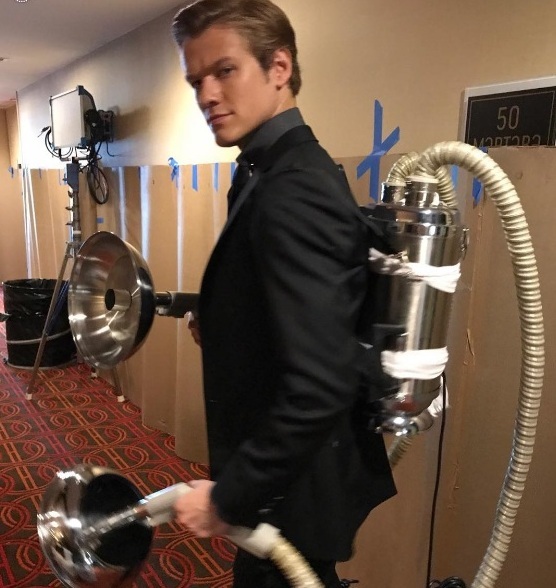 On July 19, Peter Lenkov posted a fun picture of “James Blonde” to let us guess what MacGyverism might be used in this episode. 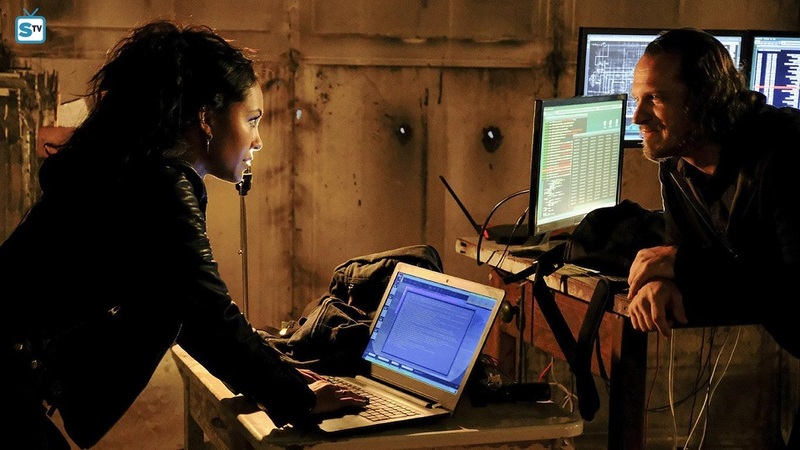 We got some exclusive spoilers about the storyline of Episode 2×01 (DIY or DIE) by Moviehole a while ago, yet we still don’t know who will play the new recurring characters Olivia Cage and intel extraction specialist Agent Carmen. What we do know is that Marco Sanchez plays the role of “Mr. Diaz”, the father of a Navy Seal (played by Ricky Russert). 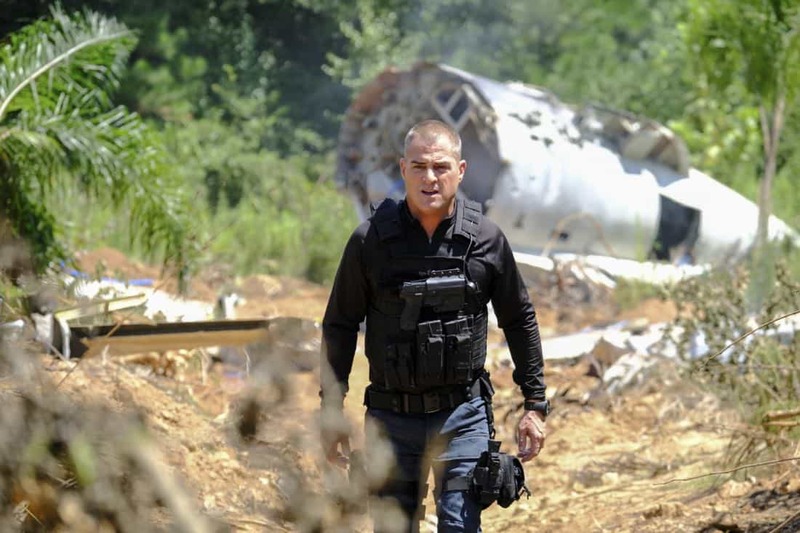 Young Diaz had been kidnapped by terrorists two years ago, so it’s safe to assume that “Team Phoenix” will stage a rescue mission in the season premiere. Central Casting Georgia has been looking for many Extras again, e.g. for hispanic and caucasian looking photo doubles, “smart and sharp looking” Techs and Agents, models, kids between 8 and 12, Stand-Ins, Phoenix Agent Drivers in black suits, Mediterrian-looking Rebels and for Bazaar Patrons. The second casting call for Female Bazaar Patrons promises to be a fun scene, so that’s something to look forward to. 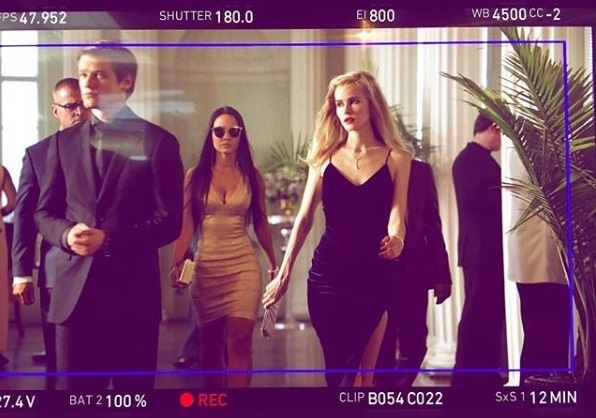 The most interesting casting calls were probably those for “tough looking” Eastern European Mafia Guards, for Upscale International Hotel Guests and for specific extras for the Casino Episode (Cocktail Waitresses, Bartenders, High Roller Card Players and Security Guards). 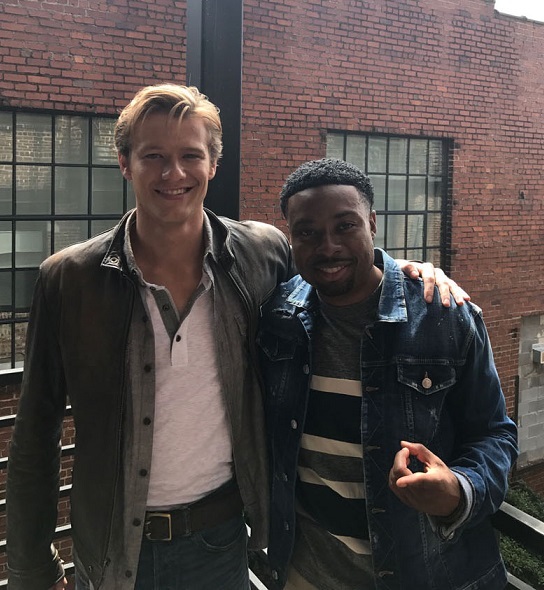 Fun Fact: It seems that at least one family member of Lucas Till is working on Season 2 while at least one friend of the Till family has been working on Season 1. 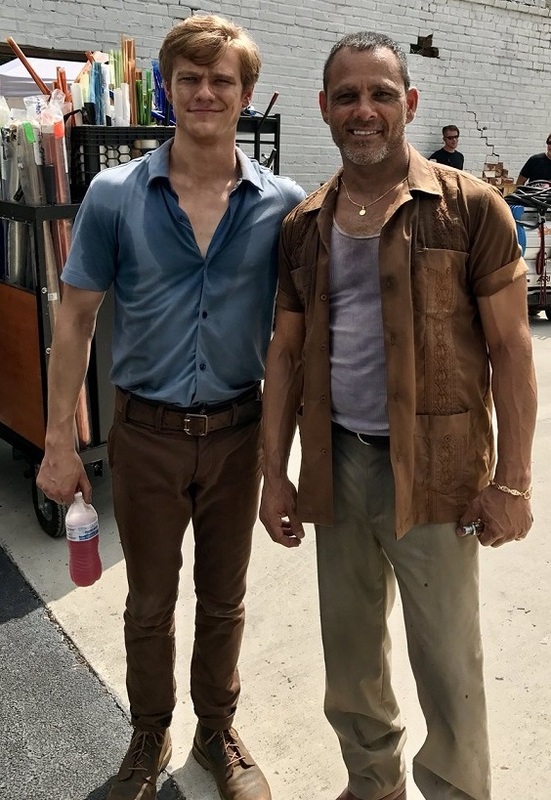 Atlanta and Georgia are deemed as the “New Hollywood”; so it makes sense that some family members and friends of the Till family are involved in the movie business as well. Still, it would be interesting to know if it’s actually Lucas’ career that made them consider working in film even before the rise of “ATLwood”. There is no rerun today since Big Brother is taking up your favorite Friday spot on CBS. Next week, you can catch a rerun of Episode 6 (Wrench). After another short break, there will be a rerun of Episode 10 (Pliers) on August 11. 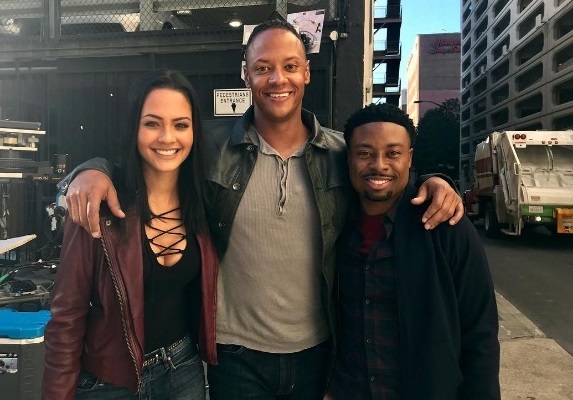 The Friday reruns continue to earn good ratings, although the number of viewers is getting a bit lower every week and the show doesn’t always earn the top spot in its time slot anymore. The rerun of the Pilot Episode (The Rising) on July 7 had 4.05 million live viewers (with the usual 0.5 rating in the demo group of 14-49 years). Considering this was at least the 3rd airing of the Pilot since its premiere, that’s not bad. A week later, the rerun of Episode 1×02 (Metal Saw) managed to get 3.81 million live viewers (with 0.5 in demo). Overall, the reruns have made an average of 4.25 million live viewers (with a rating of 0.6 in demo) per episode so far. Episode 7 on July 10 earned 800’000 live viewers with a market share of 9% within demo (which is a market share of 6% in total viewers, meaning 1.71 million). 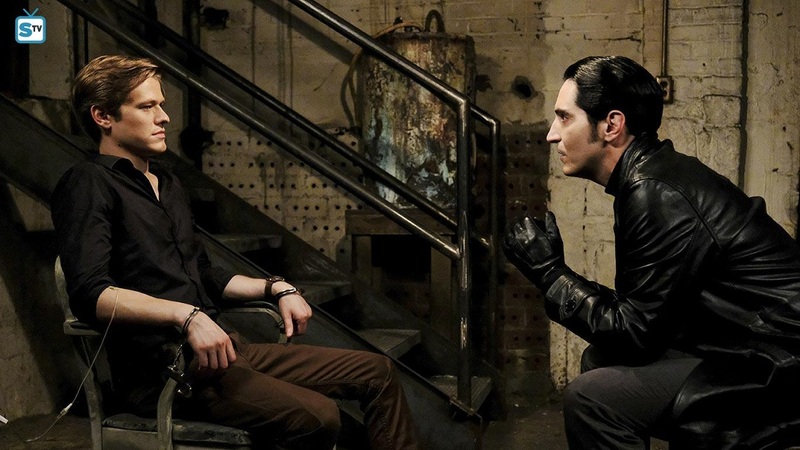 The following episode fared better ratings with 870’000 live viewers (with a market share of 9.5% in demo). For comparison: The single episode of Hawaii Five-0 (that aired at 22.15 pm) had a market share of 7.5% (which is not as high as in earlier seasons). 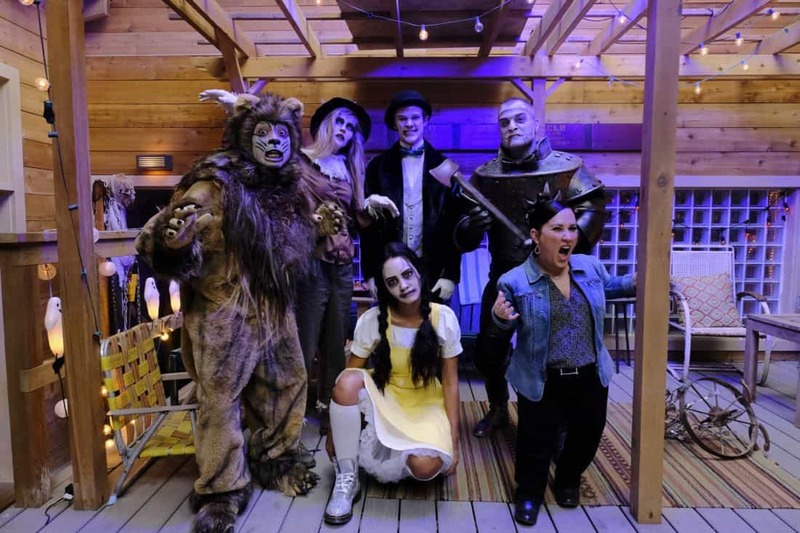 On July 14, the reboot earned the second highest ratings since its German premiere – despite having a lot of competition in its time slot and many people catching up on Game of Thrones that evening. Episode 9 had 1.03 million live viewers with a market share of 12.4% in its demo group (which is a market share of 6.6% in total viewers, meaning 1.81 million). Episode 10 earned 1.02 million live viewers (with a market share of 11.5% in demo). 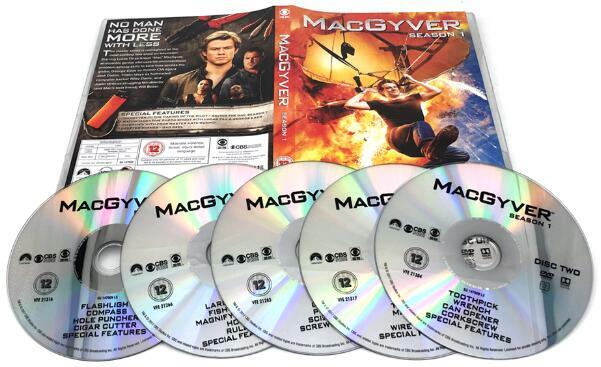 With these numbers, MacGyver made rank 3 and 4 in prime time – being beaten by a soccer game and episodes of The Big Bang Theory. It’s also possible the numbers influenced the ratings of Hawaii Five-0 which managed a market share of a surprising 9.2%. 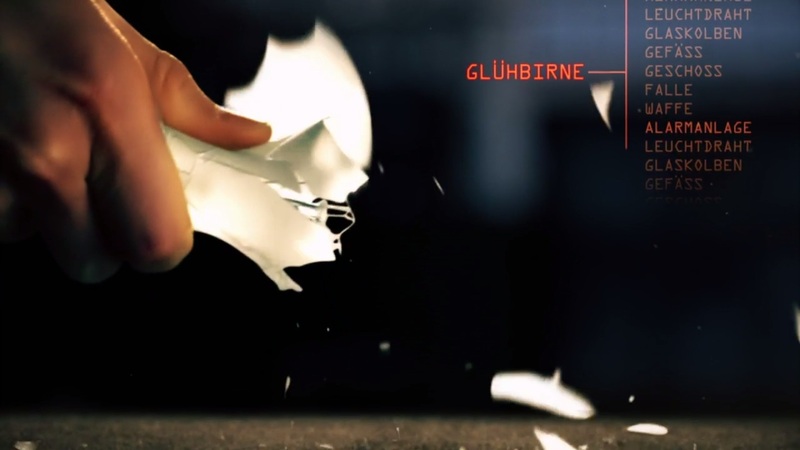 It’s a bit sad that Germany won’t air Episode 11 (Scissors) next week. 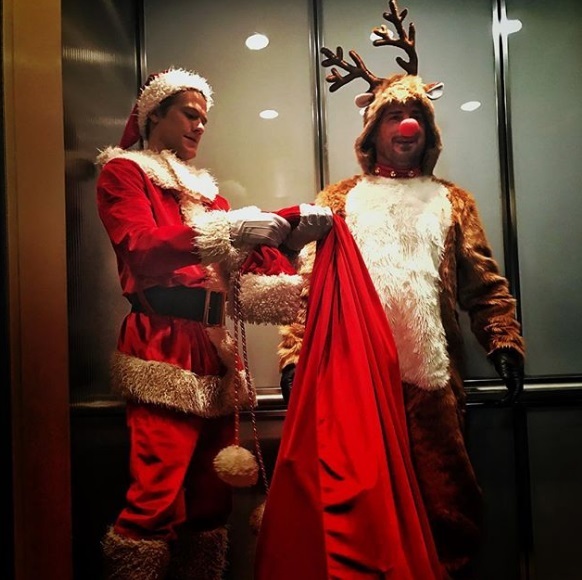 It’s possible that they don’t believe in aring a Christmas Episode in summer time. The episode has been dubbed into German; being titled “Schnee in Kalifornien” (Snow in California). Weirdly, they also won’t air Episodes 16 (Hook) and 19 (Compass). Neglecting Episode 16 feels like a big faux-pas to me, considering the whole episode is an Easter Egg for fans of the original show. We’ll see if they will air Episode 11 as a Christmas Special this year or if the German-speaking premiere will happen on DVD. 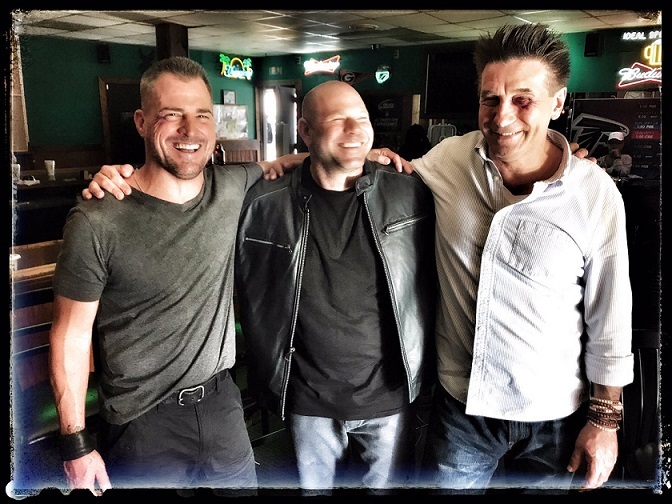 While filming for Season 2 started on July 6 in Atlanta, Executive Producer Peter Lenkov was in Hawaii to attend the annual celebration by cast and crew of Hawaii Five-0 before starting Season 8. Lenkov was already back in Atlanta on July 9. 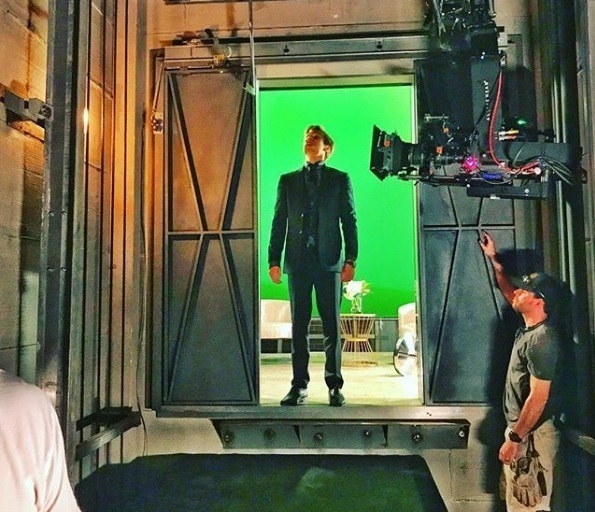 He had an exciting week ahead with the premiere of his other show Salvation on July 12. He’s in San Diego right now and will probably attend the panel for Salvation at Comic Con on Saturday. 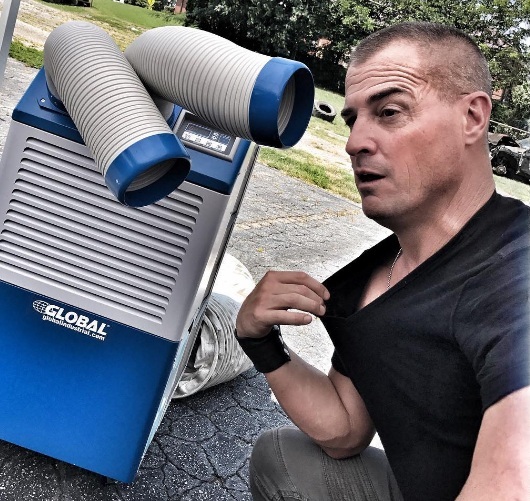 Lucas Till and George Eads have already another project lined up together: They will voice characters in a Michael-Jackson-themed Halloween-Special that will air on CBS. 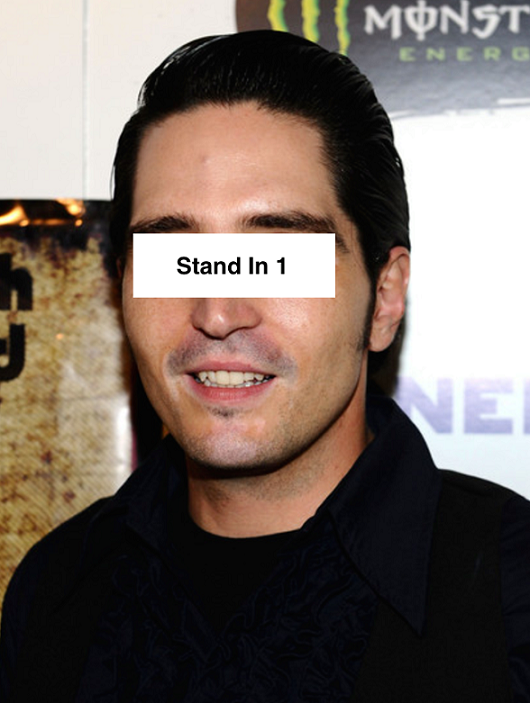 On July 12, Holly Dowling had uploaded an audio-interview she had done with her brother David Dastmalchian (who plays our most favorite villain in the show). For 48 minutes, David talks about his struggle with mental health, addiction and self-medication in the past. 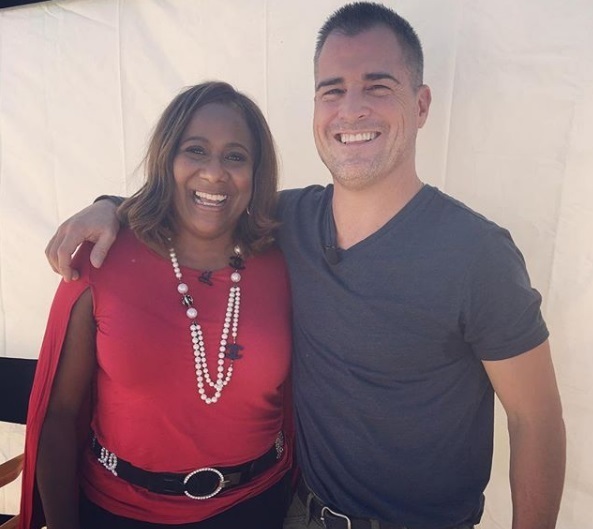 It’s a great interview and thankfully, David is able to celebrate 15 years of sobriety this year. You can listen to it here via Soundcloud or subscribe to Holly’s podcast on iTunes.